Enjoy a peaceful respite on your next trip by making a pit stop at Sandy's Restaurant and RV Park in Sunizona, Arizona. Our RV park and restaurant offer comfortable accommodations and family dining. To reserve your spot, contact us today to discuss your needs with a friendly member of our team. Sandy's Restaurant and RV Park is an RV park located between I-10 and the Mexican border in eastern Arizona. We also have a restaurant on-location that serves delicious breakfast and lunch items every day. We are open for business year-round, including weekends and holidays. Our family restaurant serves breakfast and lunch items to anybody who is looking for a good meal. You do not need to reserve a spot in our RV park to enjoy a visit to our family restaurant. 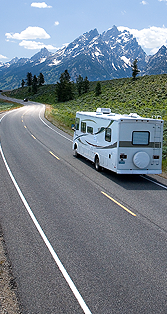 Sandy's Restaurant and RV Park is the only RV park within a 15-mile radius of Sunizona. We are always happy to provide a peaceful respite for weary travelers who are passing through the area. information or to request a copy of our menu.